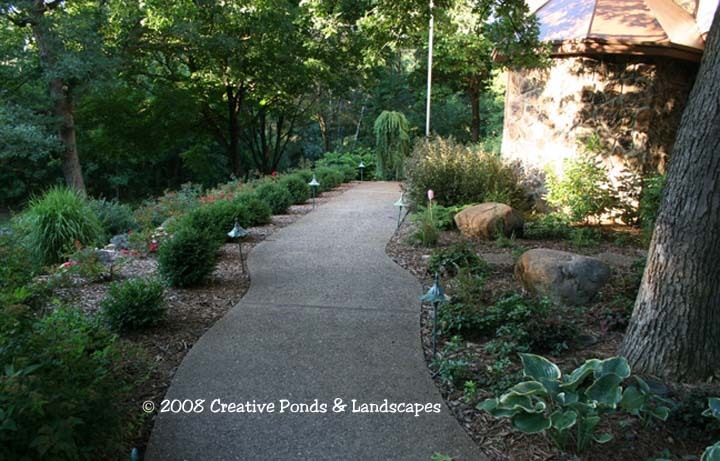 Creative Ponds & Landscapes, Landscaping in Minneapolis & St. Paul, MN. 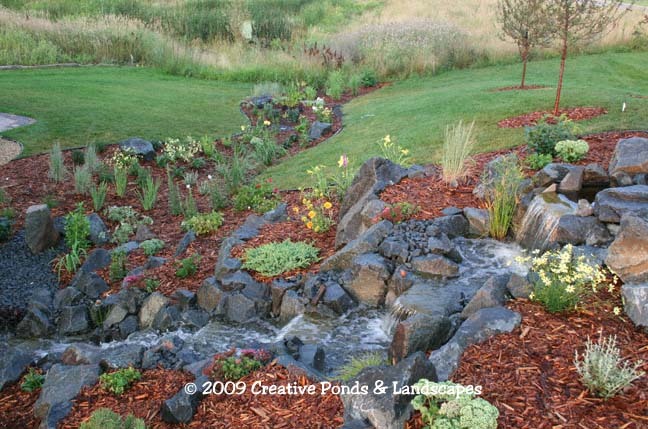 Creative Ponds & Landscapes is a landscape contractor specializing in the installation of backyard ponds, waterfalls, low voltage landscape lighting & landscaping in Minneapolis & St. Paul, MN. and surrounding Twin Cities area including Oakdale, North Oaks, Roseville, Woodbury, Eagan, Burnsville, Minnetonka, and Plymouth, MN. to name a few. Most of our pond installations also feature our landscape design & landscaping services, make sure to check out our extensive Photo Gallery to view the many beautiful landscape installations that were designed to compliment the assorted ponds & waterfalls. Our experience & working knowledge of a variety of landscaping techniques and plant materials available for use in MN allow us to create a unique landscape design & installation for you, your lifestyle and your budget, water feature or not. 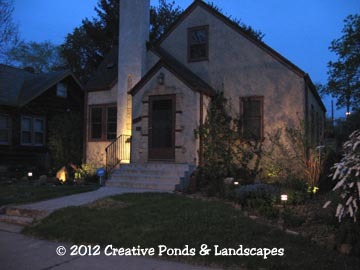 Creative Ponds & Landscapes is a MN. 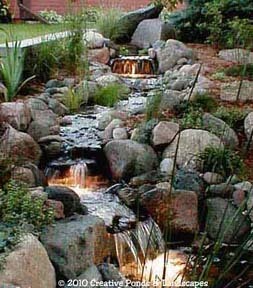 licensed & bonded low voltage landscape lighting contractor (Now required in MN) We are proud to offer you Low voltage landscape lighting options to aesthetically enhance your home, landscape or water feature for extended evening enjoyment or nighttime drama. 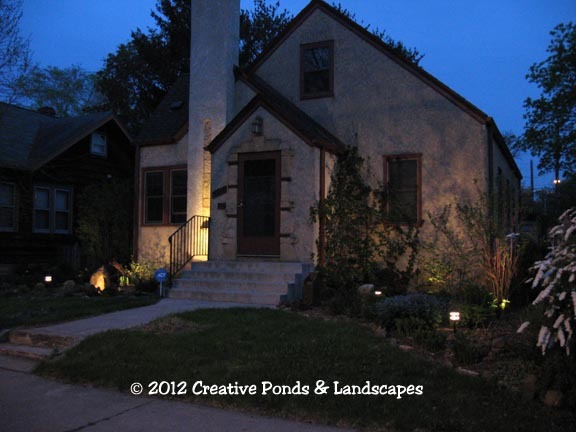 Contact Creative Ponds & Landscapes for your next Twin Cities of Minneapolis & St. Paul, MN. landscaping project.